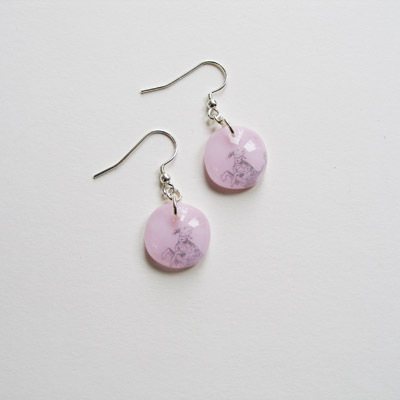 A pretty pink pair of earrings with a grey picture of a dog. They could match the necklace Pink & Grey 235. They measure 1 -2cm long and are fitted with sterling silver ear wires.